Today at VMworld 2016 Europe VMware announced a technical preview of a new Skype for Business solution for VMware Horizon. Earlier this year Citrix announced that they had a special relationship with Microsoft and that the Microsoft Skype for Business plugin was developed for them. VMware was left in the corner with only a working Lync 2013 plugin, clearly not enough to win customers in the future. At VMworld we had a meeting were we discussed the issue with Shawn Bass, our customer and our future customers are looking for solutions that would include Microsoft Skype for business. At that time nothing was clear and no products was available for our customers. So now a mere two months later the world has changed so it seems, VMware and Microsoft have intensified their relationship on the end user side and Microsoft Skype for business can be deployed with all functionality on a VMware Horizon environment. So my initial thought was, what is the difference between Citrix and VMware’s solution? Are they different solutions or what? So this blog is simple, it will show the differences in both solutions from what is known at this moment. At first we take a look at the architecture, what is the difference between both solutions. For VMware we take what is known at this moment, perhaps later on more detailed information will become available. So first the last addition, VMware who announced this today at VMworld in Barcelona. If we look at the solution we see that the end points will be handling the offloading of video and audio. The virtual machines will be in contact with the Skype for Business (on-premises / Office365) solution. Through a new virtual channel the offloading will be send to the end point where the client will do al the processing. 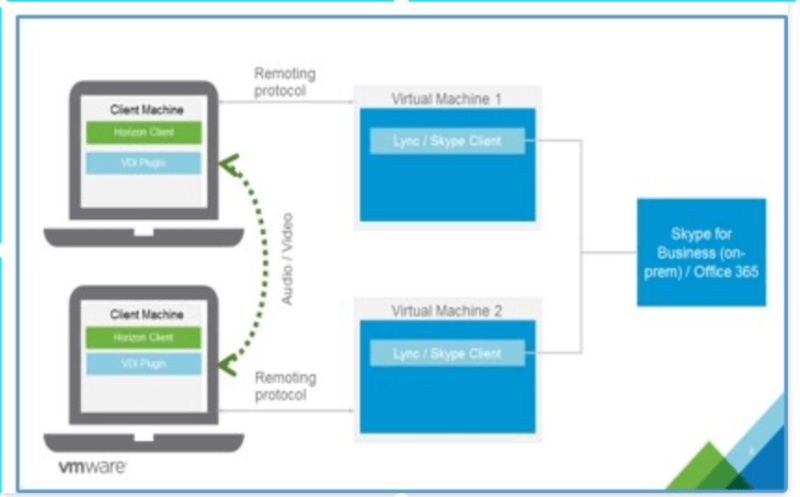 If we look at the Citrix solution we see something pretty similar, the virtual machine is contacting the Skype for Business solution and through the ICA protocol and a virtual channel the offloading is done at the client side. If will come down to who had the protocol designed most efficiently, test will bring light in that matter in the future for sure. From a matrix perspective both will have a checkmark in this section and our customers will be given the choice. Back then I thought that Citrix had a advantage over VMware and in Vegas we didn’t that many announcements that showed different. Now just two months later they taken back the lost ground with the announcements at VMworld. The world we live in changes fast, its hard to know when to advice a customer where to go, tomorrow can be different. Also both Skype for Business on-premises and Office365 are supported. So also in that area both vendors are equally supporting clients. From this point of view there is no difference in both solutions. perhaps under the cover there is more to see but from a functional perspective (and that is what customer look at) both are an option. As mentioned before it is a short article just taking a high overview of both solutions. I’m in the advisory business and I need to understand what both vendors, and any other vendor, is offering. From this short quest I conclude that there is little difference and that VMware and Citrix are both in the race for the Skype for business customers. The game continues. 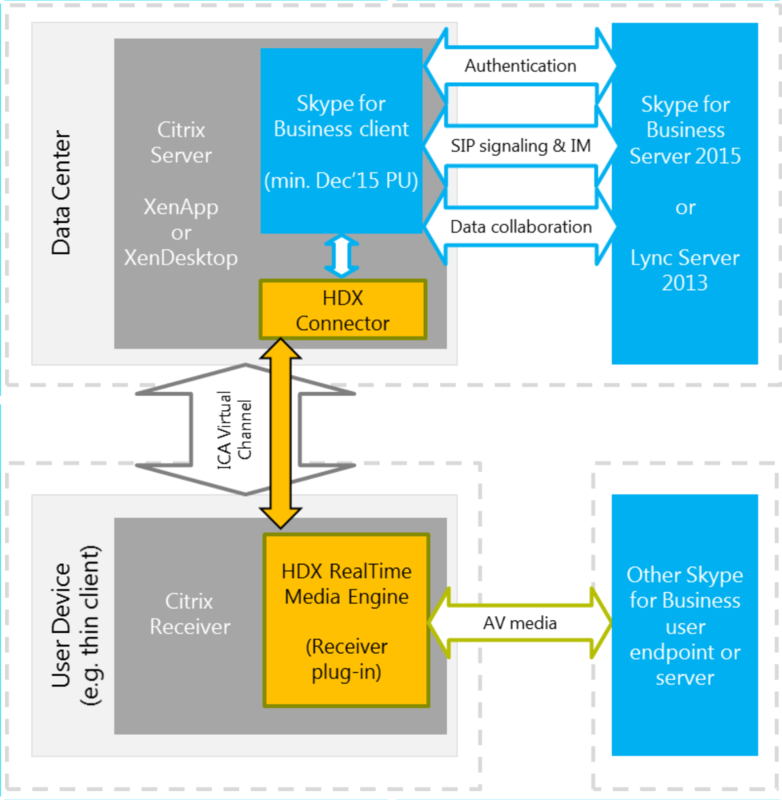 Pingback: What do VMware and Citrix bring to market for the Skype for business customer?